Katie Martinez is a new faculty member at the Cleveland Clinic, and continues to work jointly in CanSORT with Dr. Sarah Hawley. Dr. Martinez was previously a postdoctoral fellow at the Ann Arbor VA Health Services Research & Development Center. She earned her PhD in Health Services Research and Policy from Johns Hopkins Bloomberg School of Public Health, with a dissertation examining the relationship between patient perceived quality of care and pain severity in individuals with cancer. Prior to her doctoral training, Dr. Martinez worked for a number of years in public health practice and administration in California, having previously received an MPH in Community Health Sciences from UCLA and a BA in History and Policy from Carnegie Mellon. 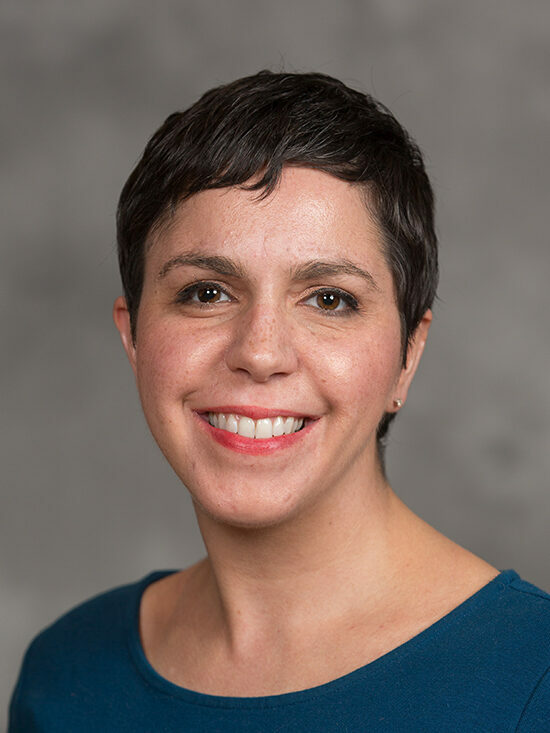 Her research interests are in disparities in cancer treatment and symptom burden, measurement of patient satisfaction and use of patient reported outcomes in evaluating medical care quality.